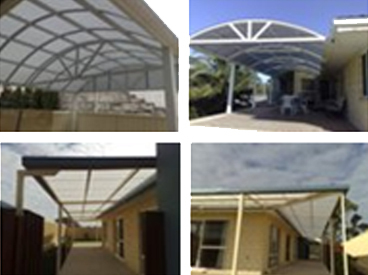 Freedom Outdoor - Patios Bunbury - Steel Fabrication Bunbury have many years experience in steel fabrication, servicing clients within the Bunbury area. From patios to gates, Freedom Outdoor - Patios Bunbury - Steel Fabrication Bunbury has the expertise to assist you with all your patio requirements. Freedom outdoor offers a large range of designs to choose from, or we can custom design something to utilise your space to its capacity. phone or email now for an obligation free quote! Entertain guests under a cool, stylish outdoor area that will add thousands to the value of your home... NEW PRODUCT! Insulated room additions - freestand or attached. Ideal for studio or teenage retreat.